One autumn afternoon in Mexico City, seventeen-year-old Luisa does not return home from school. Instead, she boards a bus to the Pacific coast with Tom's, a boy she barely knows. He seems to represent everything her life is lacking--recklessness, impulse, independence. Tom's may also help Luisa fulfill an unusual obsession: she wants to track down a traveling troupe of Ukrainian dwarfs. According to newspaper reports, the dwarfs recently escaped a Soviet circus touring Mexico. The imagined fates of these performers fill Luisa's surreal dreams as she settles in a beach community in Oaxaca. Surrounded by hippies, nudists, beachcombers, and eccentric storytellers, Luisa searches for someone, anyone, who will "promise, no matter what, to remain a mystery." It is a quest more easily envisioned than accomplished. As she wanders the shoreline and visits the local bar, Luisa begins to disappear dangerously into the lives of strangers on Zipolite, the "Beach of the Dead." Meanwhile, her father has set out to find his missing daughter. A mesmeric portrait of transgression and disenchantment unfolds. 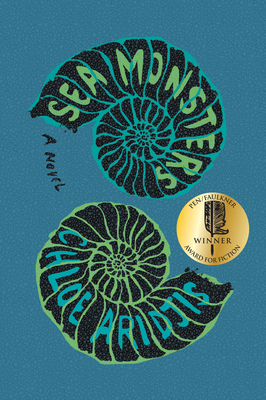 Sea Monsters is a brilliantly playful and supple novel about the moments and mysteries that shape us.